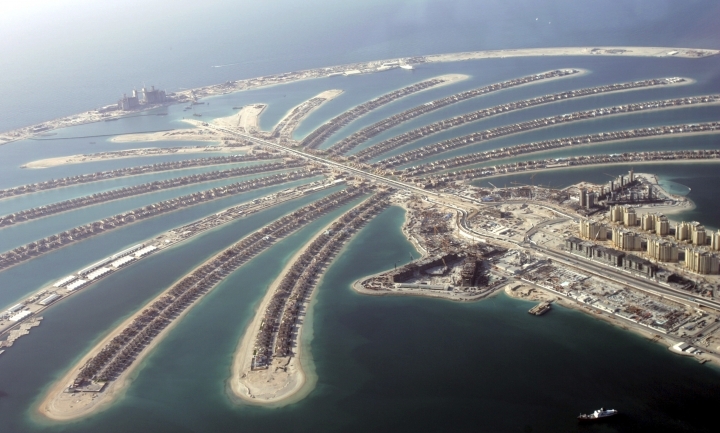 DUBAI, United Arab Emirates — Property developer Nakheel, behind eye-popping projects like Dubai's palm-shaped islands, said Wednesday that profits reached $1.2 billion in 2018, down from $1.5 billion recorded in 2017. The state-owned company did not disclose revenue figures. There are concerns of oversupply in Dubai's real estate market with thousands of new units, sprawling neighborhoods and more malls being built in the lead-up to the 2020 World Expo. Nakheel's current projects in Dubai include a new mall and tower on the Palm Jumeirah, hotels, resorts and a 1,500-villa community. The company said 3 million square feet (279,000 square meters) of retail space is expected to come on line this year. In a statement released with the earnings report, Nakheel Chairman Ali Rashid Lootah said the company's plans are "in line with our own goals and Dubai's vision." "Construction of more hotels and resorts is in full swing under Nakheel's strategy of bringing new and diverse tourist offerings to Dubai as a part of the government's tourism vision," the company said. Meanwhile, Bloomberg reported Wednesday that the developer dismissed about 300 employees in past weeks, while privately held Majid Al Futtaim cut more than 100 jobs. A leading Dubai bank warned Tuesday that non-oil companies across the UAE cut staff at their sharpest rate in nearly a decade to reduce costs. The report by Emirates NBD, which is majority owned by Dubai's government, said it relied on data from some 400 private sector companies outside of the UAE's oil economy, including the nation's manufacturing, services, construction and retail sectors.